As expected we raised loads of money for Children in Need 2011 – we’ve been doing the show for years and always had great support from our partners, sponsors and the folks who attend. This year we were live TV Friday night, handing over £7433:81 to Children in Need. Thanks everyone – good job! Supporting the BBC Children in Need Appeal 2011 is the big name but we also support local charities, the Little Gransden Families Day Out Air & Vintage Vehicle Show included over four hours of vintage and aerobatic flying displays, a vintage, veteran and classic vehicle rally plus numerous other attractions and is now firmly on the air show calendar in the UK. 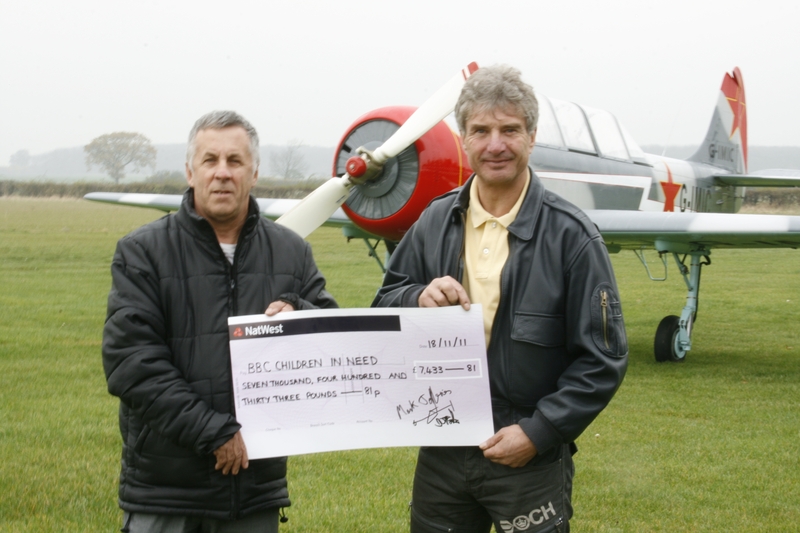 We have been running our show since 1992 and have now raised well over £140,000 for charity over the years.